We have Negan now, who is definitely the most electric character since the Governor, and so that’s something new, but I’m getting back to the overwhelming feeling I’ve had before on this show that it’s so insanely cyclical. The bigger issue is that, as usual, we’re spared everything interesting that’s going on with Negan and our friends in Alexandria to spend an entire hour focused on one character who’s never been the most interesting player. I do like Tara, but I didn’t even remember that she had been separated from the group. There was nothing new about the experience that she had getting back to her friends, nearly being shot on sight as an imposter and then becoming acclimated to a group that didn’t want to let her leave. We’ve heard conversations before about why people in this post-apocalyptic world feel the need to kill those around them because they’ve learned from their experiences, and expecting that the next person is just going to betray them has become commonplace. What separates Tara from the likes of Carol or Morgan or Michonne or Andrea or anyone else who got marooned away from the group is that she, like Jesus and Aaron, takes life around her a lot less seriously, continuing to exist and thrive despite her casual approach to everything that should get her killed right off the bat. 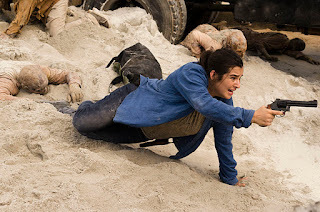 Returning to Alexandria at the end of the episode put us one step closer to the eventual uprising against the Saviors, but I feel like that’s not going to come until season eighteen at this point.